Flûte Bar & Lounge opened in midtown Manhattan in 1997, taking over the space that once operated as the notorious speakeasy, Club Intime. At Flûte Midtown, we take champagne out of the nightclub VIP room and bring it into the chic, intimate, comfortable setting of a New York lounge: French art de vivre meets New York City nightlife. 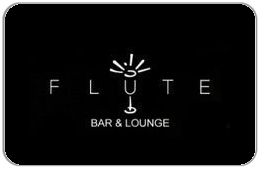 Flûte Bar & Lounge welcomes champagne lovers, as well as those simply looking for the ideal spot for drinks with friends, to bring a date, to toast a celebration or relax with colleagues. In addition to champagne and sparkling wine, we provide a full bar and a menu of our own specialty sparkling cocktails, as well as small plates. For balance inquiries call the phone number to a Flute Bar & Lounge's location below.